Welcome! 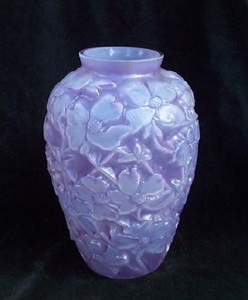 This is the official website of the Phoenix & Consolidated Glass Collectors' Club. 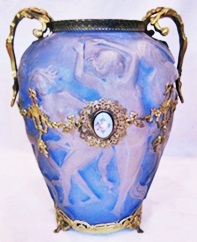 Learn about art glass from Phoenix and Consolidated glass companies and the related items from Kopp Glass (Modernistic) and Reuben Haley designs for Muncie Pottery. We hope you enjoy our site! If you are intrigued by this glass, you will find information about our club, our quarterly newsletter and our annual convention in July in the Pittsburgh area. Enjoy! Click here to learn about the Consolidated Glass Company. Click here to learn about the glass lines from Phoenix Glass Company. 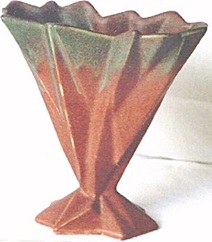 Click here to learn about Muncie Pottery Company and their designs. Click here to learn about Kopp Modernistic glass. Our club has been sharing information and having fun for 21 years! We are a non-profit (501 c 3) that is run by volunteers. We feature a quarterly newsletter, a Facebook page and we host an annual convention in July in the Pittsburgh area. You will find that we are a friendly group with many knowledgable collectors that are ready to help new collectors. We invite you to join the Phoenix & Consolidated Glass Collectors Club.